39mm case, two-hand movement and 30 M Water Resistant. Stainless Steel free-falling bracelet and stainless steel case. packaging. Swiss Made. 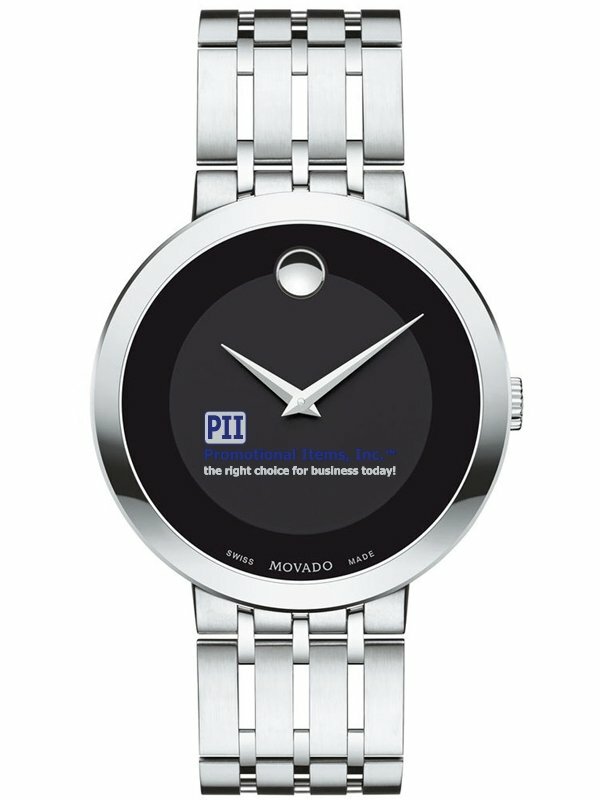 Business gift logo watch. Delivery from date of an actual order is 4 weeks. Price includes a four color process digital imprint on the dial. size provided logo art for best professional look.